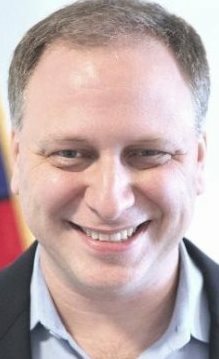 Aaron Snow, senior adviser for the General Services Administration’s Technology Transformation Service, announced he is leaving government on Feb. 28. Rob Cook, commissioner of TTS, said Snow’s four-year renewable term is almost up and that Snow has found a new job. Snow previously served as director of GSA’s 18F organization; he began his position at TTS in October. 18F was the subject of a scathing inspector general report released Feb. 21. According to OIG, Snow and his fellow IT leaders at GSA “routinely disregarded and circumvented” the agency’s security and acquisition policies. In addition to Snow, the report calls out GSA’s then-head of the Office of Citizen Services and Innovative Technologies Phaedra Chrousos, Chief Information Officer David Shive, and 18F Director of Infrastructure Noah Kunin. MeriTalk’s email to Snow for comment could not be delivered to his GSA email account. GSA did not return MeriTalk’s request for comment by press time. However, Snow took to Twitter early Thursday morning, responding to an inquiry by Federal Communications Commission CIO David Bray about 18F’s cost recovery model.